Reacting to the UK rally, the chief minister said that, as expected, it turned out to be a damp squib, participated by a handful of elements. Chandigarh: The no-show Sikhs for Justice rally in London has exposed the total lack of ground support for Referendum 2020 even outside India, according to Punjab chief minister Capt. 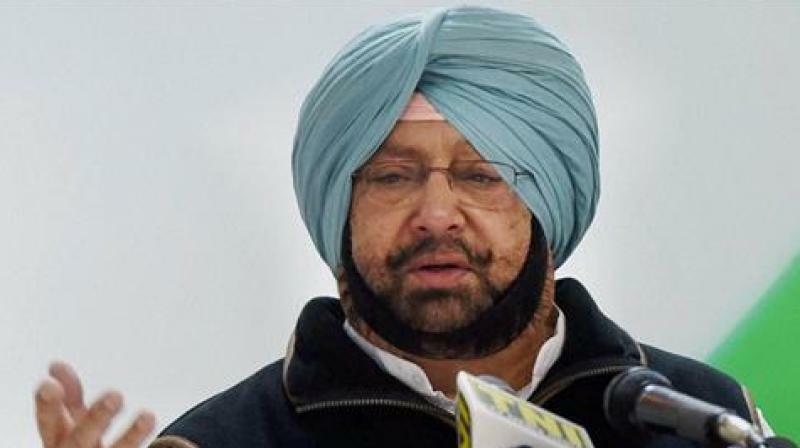 Amarinder Singh, who has dismissed the entire affair as a futile exercise by a sham organisation to create trouble in India, particularly Punjab. The Sikhs for Justice (SJF) are just a group of fringe elements that are playing into the hands of Pakistan’s ISI to divide India, but they have failed, and will continue to fail in their nefarious designs, said the chief minister. The presence of Pakistani politicians at the rally confirms that it was out and out an ISI plot, which fell through, just as their attempts to create trouble in India have been failing all these years, he added. Reacting to the UK rally, the chief minister said that, as expected, it turned out to be a damp squib, participated by a handful of elements. He, however, felt the UK government should have put its foot down and not allowed its soil to be used to propagate anti-India campaign. Further castigating the UK government, Capt. Singh said that by allowing the protestors to use Trafalgar Square, instead of the usual Hyde Park that’s generally used for such purposes, it had shown its total complacency in the issue. The entire referendum business is nothing but a money making racket of SFJ, with no takers for the so-called campaign either in India or even outside, as is evident from the poor show at the rally, he added. There was virtually nil local support for the rally and whatever little support they had managed to garner was of similar fringe elements from various countries, said the Chief Minister.